Adults aged 18 and above are invited to join teaching teams of 3 or more. All volunteers must have sufficient financial support for short term assignments. 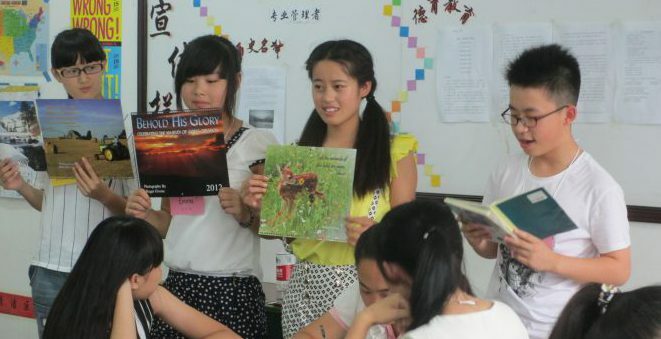 Most assignments are in programs whose participants/students are Chinese middle school teachers. In China the term “middle school” refers to what in the USA would be “junior and senior high school”. Some assignments will also include senior high or college students who have a strong desire to improve their spoken English. Preference is given to English majors or minors. Programs are held at middle schools, universities, or similar facilities during the month of July, when teachers and students are most available. Located east of the Yellow River and bordered by the Great Wall in the north, Shanxi Province, has a population of over 35 million. Changzhi (长治) is a city in the southeast of Shanxi. Changzhi means ‘eternal peace’ in Chinese. Historically, the city was under the reign of the first emperor of a unified China. Nowadays, Changzhi is a rising commercial and industrial center. Volunteers for China was invited to bring teachers to CZ in 2000 by the CZ Foreign Experts Bureau. VFC has continued to annually place one or more teaching teams both in the city center and in surrounding communities. Amity Foundation, an independent Chinese social development organization was created in 1985 on the initiative of Chinese Christians to promote education, social service, health, community development and civil society building from China’s coastal provinces in the east to the minority areas of the west. Amity Foundation is one of the earliest established homegrown NGOs in China.It is based in Nanjing . 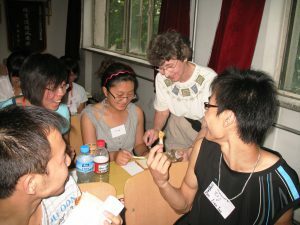 Volunteers for China has partnered with Amity to form teams of teachers who are willing to go to a variety of locations across China. Only when there are enough volunteers will VFC place a team with Amity. If you feel called to serve as a teacher during a short term teaching assignment, then the first step is to complete both the “VFC Application” and “Simplified Resume“. Scan or mail them to Volunteers for China for prayerful review. 1. Changzhi, Shanxi, July 6 – 24. Contact VFC for more information about the chance to extend past these dates.